Following on from the earlier post and our 2016 report on the black hole in US state public pension unfunded liabilities, we have updated the figures to 2016. It is hard to know where to start without chills. 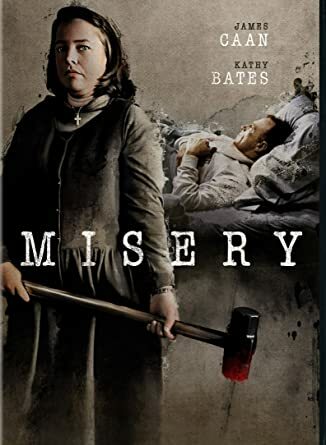 The current state of US public pension funds represents the love child of Kathy Bates in Misery and Freddie Krueger. Actuarial accounting allows for pension funds to appear far prettier than they are in reality. For instance the actuarial deficit in public pension funds is a ‘mere’ $1.47 trillion. However using realistic returns data (marking-to-market(M-2-M)) that explodes to $6.74 trillion, 4.6-fold higher. This is a traffic accident waiting to happen. US Pension Tracker illustrates the changes in the charts presented. Before we get stuck in, we note that the gross pension deficits do not arrive at once. Naturally it is a balance of contributions from existing employees and achieving long term growth rates that can fund retirees while sustaining future obligations. CM notes that the problems could well get worse with such huge unfunded liabilities coinciding with bubbles in most asset classes. Unlike private sector pension funds, the states have an unwritten obligation to step up and fill the gap. However as we will soon see, M-2-M unfunded liabilities outstrip state government expenditures by huge amounts. From a layman’s perspective, either taxes go up, public services get culled or pensioners are asked politely to take a substantial haircut to their retirement. Apart from the drastic changes that would be required in lifestyles, the economic slowdown that would ensue would have knock on effects with state revenue collection further exacerbating a terrible situation. CM will use California as the benchmark. Our studies compare 2016 with 2008. The chart above shows the M-2-M 2016 unfunded liability per household. In California’s case, the 2016 figure is $122,121. In 2008 this figure was only $36,159. In 8 years the gap has ballooned 3.38x. Every single state in America with the exception of Arizona has seen a deterioration. The following chart shows the growth rate in M-2-M pension liabilities to total state expenditure. In California’s case that equates to 3.2x in those 8 years. Sadly it gets worse when we look at the impact on current total state expenditures these deficits comprise. For California the gap is c.6x what the state spends on constituents. Then taking it further, in the last 8 years California has seen a 2.62-fold jump in the gap between liabilities and state total expenditures. This is a ticking time bomb. Moreover it is only the pensions for the public sector. We have already seen raids on particular state pension funds with some looking to retire early merely to cash out before there is nothing left. Take this example in Illinois. To highlight the pressure such states/cities could face, this is a frightening example of how the tax base can evaporate before one’s eyes putting even more pressure on bail outs.